Playing Chess for money - How to make money from playing chess? Playing chess for money is not very common due to the lack of luck in the game. I’ve witnessed some games been played in bars and amongst chess hustlers but it has not really reached any main stream status. However there are many other ways to make money from chess. While chess is not often played for money, it is still the dream of many chess players to live from it. Sadly the facts are that only the very top of the chess elite can live from chess by just playing. The top 100 players in the world can easily support themselves from chess. But don’t give up, there are plenty of ways to make money from chess. The best thing about coaching is that there is always someone to teach and you don’t need to be an international grandmaster to become a coach. I’ve heard several times that a coach should only be 200-300 rating points higher than the student. This means that you don’t need to be a high-level player to become a coach, you can always look into organising chess classes in local schools for example and start from the basics. Internet has also made coaching a lot easier than before since you can potentially be coaching anyone in the world. Another great way to earn money is to try setting up chess groups in schools. Organising chess courses and also summer camps can be very lucrative. Top players are often hired to play for clubs around the world. Especially in high-level leagues like the German Bundesliga you can see that the top teams have almost no local players – it’s almost like any other sport like football where top players are hired to represent the club. While the top tier players can earn hundreds of thousands from important tournaments, it is also possible to make decent money from chess tournaments as a lower tier player. Local tournaments often have prizes not only for the best players, but also for the best youth, women, seniors and sometimes they even present prizes for different rating groups. In bigger tournaments players are divided into groups depending on their playing level which makes your chances of prizes even higher. While not exactly a money making machine, I felt like chess hustling had to be included in the list. In some parks around the world, most famously in Central Park New York, so called chess hustlers play chess for money against anyone willing. They are famously known for trash talking during the game and having all kinds of tricks up their sleeve to try to confuse you during the game. Here’s a classic example where GM Maurice Ashley plays against a chess hustler in Central Park. Self-publishing has become increasingly easy and you don’t need to be a super grandmaster to become a chess writer. You can try to focus on certain chess openings, write about famous players, cover big tournaments, write books for children or even write a novel. There are so many chess enthusiasts out there that you can surely find yourself a good niche to write about. Writing a book can sound like a huge task, but you can also consider writing for smaller publications. 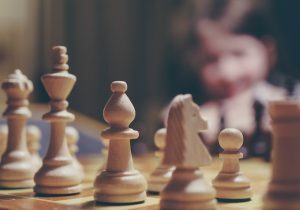 Many cities have had a chess section in their local newspapers and you can also consider starting your own blog where you blog about chess news, tournaments and results and your own progression through the ranks. 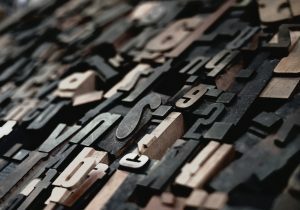 Writing about chess can be a fun way to make money! 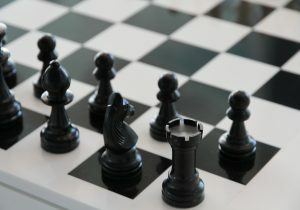 Youtube has grown to become a very popular way to make money online and it is also very possible with chess. There are many different kinds of videos you can publish, for example tutorials, interviews, news, video logs about your progression or even just some of your best games. You can check out our recommendations for the best chess Youtube channels out there. Live streaming games has become hugely popular and while chess is not among the most popular games out there, it still has a healthy fan base. The most popular chess streamers are not necessarily the best players in the world (while many of them are IM/GM level) but they are also often very entertaining and engaging. Often they also take on interesting challenges, like playing with specific strange rules or with a very limited time controls. Streaming through sites like Twitch allows players to get not only ad revenue but also donations from the biggest fans. VelocityChess is a website that comes closest to allowing players to play for money. Signing up will give you 1,000 credits or “vChips” (about $0.10 worth) that you can spend to play against other players. You can set a bounty for each game and you can also participate in tournaments, sit&go tournaments and other types of events. There are also daily events and challenges that give you more chips. While the chips can’t directly be cashed out as money, you can exchange them as gift cards on different websites like Amazon, Paypal or iTunes. Velocitychess.com comes closest to allowing playing chess for money online. However the big question about playing chess for money online is how well the service is able to detect cheating.